Yay! A couple of weeks I was asked to answer some questions for an article on natural hair bloggers that was coming up on HLNtv.com . I was ecstatic because I love these type of opportunities. I love to discuss how I got into blogging, and the amazing things that have come from blogging and the state of blogs and natural hair. I can talk for days about all of those topics! I admire bloggers so much because I don’t think alot of people realize the amount of time put into having a blog –especially if you have a full-time job too like myself. Please check out the article. 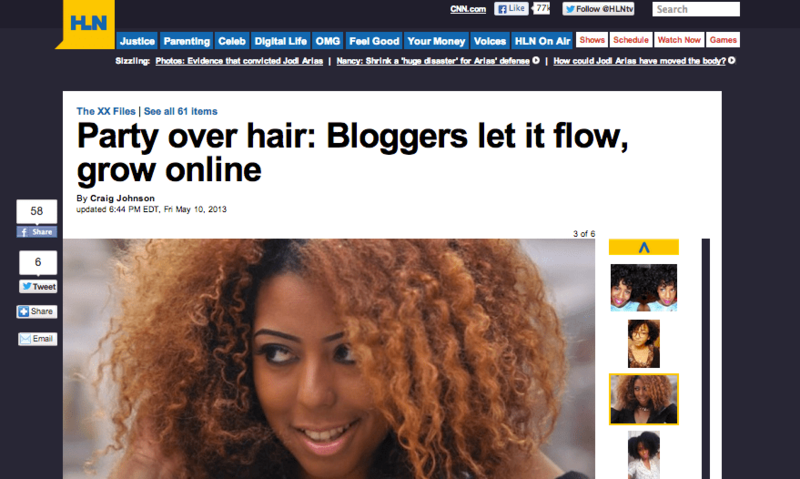 It features myself and 5 other fab hair bloggers. I’m Featured In The AJC – Hair Bloggers In ATL I’m Featured On Essence.com: The Ultimate Natural Hair Bloggers’ Holiday Gift Guide Tyra Show Guest has “White Girl Flow” QOTD- How do I get my hair to grow?